The US military announced it is preparing to return thousands of hectares of land in Okinawa to Japan, marking the largest such transfer since 1972. 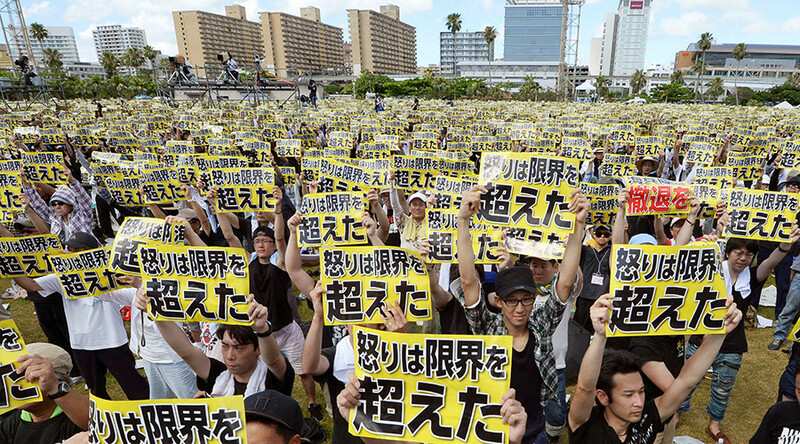 It follows numerous demonstrations against the military's presence on the Japanese island. The land return involves around 4,000 hectares of forest area, roughly half of the land in the Northern Training Area in the villages of Kunigami and Higashi, Kyodo News reported. The move, which is based on an agreement reached between Washington and Tokyo in 1996, will see Okinawa's role in hosting US military facilities in Japan drop from 74 percent to about 70 percent, in terms of land area. The return will be the biggest transaction of its kind since 1972, when the formal post-war occupation of Japan by US forces ended. A Thursday ceremony has been organized by Okinawa's central government to mark the land return. However, the burden will still remain comparatively large for tiny Okinawa, which comprises less than 1 percent of Japan's total land area. Lieutenant General Lawrence Nicholson, the top commander of the US military in Okinawa, said in a statement that the decreased training area "will not deteriorate our commitment to our ability towards working with the government of Japan and our partners in the Japan Self-Defense Forces in mutual defense of this country." He went on to state that there are plans to return more land in the coming years, because "we are respectful of the feelings of Okinawans that our footprint must be reduced." 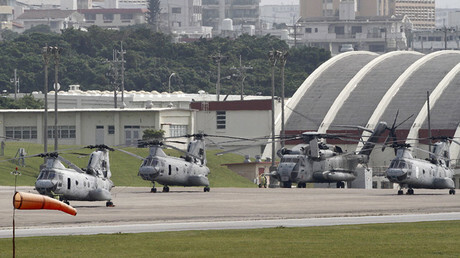 However, the land return comes in exchange for six helipads in the retained area, which are likely to be used by US Osprey tilt-rotor aircraft – a condition of the 1996 agreement which has been met with opposition from Okinawa's government and citizens. Okinawa governor Takeshi Onaga, who has stepped up his demand to remove all Ospreys in the prefecture, has said he will join a citizens' rally to protest a recent crash-landing of a US Marines Osprey, the same day the central government will hold its land return ceremony. In addition to safety concerns and noise related to the use of Ospreys, Okinawans have long protested the large presence of US forces on the island, citing crimes and accidents linked to the military bases. Residents staged one of the biggest protests in two decades over the summer, with more than 50,000 people gathering to rally against the heavy US military presence on the island, after a local woman was murdered by an ex-marine.